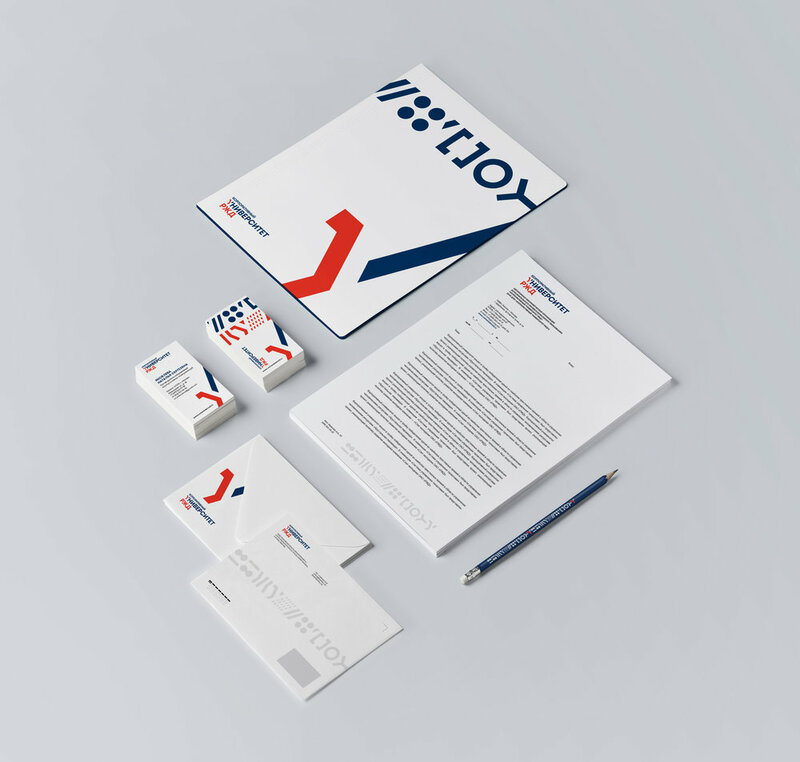 Font based logo is build on graphic interaction of “У” elements, where red element symbolises a modern locomotive, whereas blue straight line emphasises continuous study and development. Corporate style builds on active usage of logo, where “study” line goes up to the edge. System of symbols, which was developed as a part of identity used in advertisingand promo materials for the bright and bold emphasis. Corporate pattern – recognisable visual language, which shows the idea of non-standard study. Different combinations of the elements allows to create a wide range of possible variants. Symbols of the pattern refer to the world of railways and transport.